–Continuity: The interview between both Mike’s was conducted on November 4th, 2009. Final mix took place on November 20th, 2009. –The name for this episode comes from the title of the original Ultraman series’ first episode: “Ultra Operation No. 1”. Seemed fitting enough, don’t you think? Also, the banner was designed to look like an original series opening theme silhouette. It came off looking more like it came from Ultraseven but whatever, you get the idea! -Finally, what did Mike mean by the slip up? Has the R-Vanguard truly split up?! Hang on, folks! This could get hairy! New to the show? Check out our FAQ! *These tracks came from the Podshow Podsafe Music Network. Look up these artists and more! You can hit up Twitter to follow me, Sylene, and/or Ai. At the same time, you can join our Facebook and Myspace pages! Mike, this was a great episode and amazing interview. 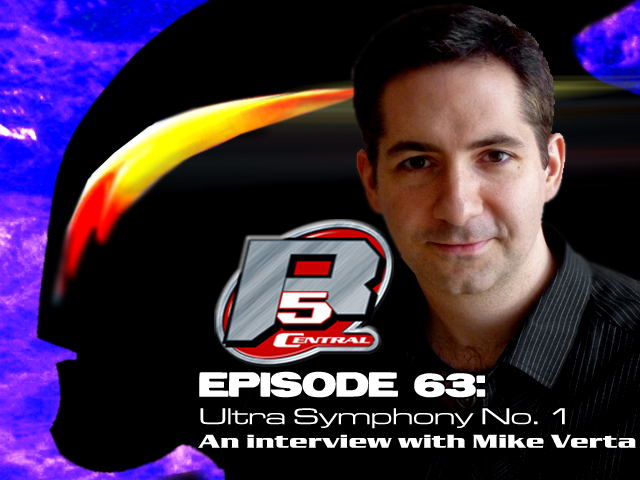 Mike was such a great guest and it was interesting to hear all the stuff he went through to score this film. I enjoyed hearing about him going through years of rejection, only to find out they were too intimidated to approach him for another project. I need to listen to his work. This episode felt really short. Glad you liked the episode! If you left wanting more, that’s the point: This was a way to get you hyped up for the film and the soundtrack after all! Next Next post: EPISODE 64: Denji Anime!